One of the largest not-for-profit rivers trusts in the UK, the Westcountry Rivers Trust is driving the implementation of critical river conservation schemes by helping large groups of stakeholders to agree priority programmes. It uses ArcGIS Online to clarify the ecological impacts of human activity on fragile river environments and stimulate more effective decision making. 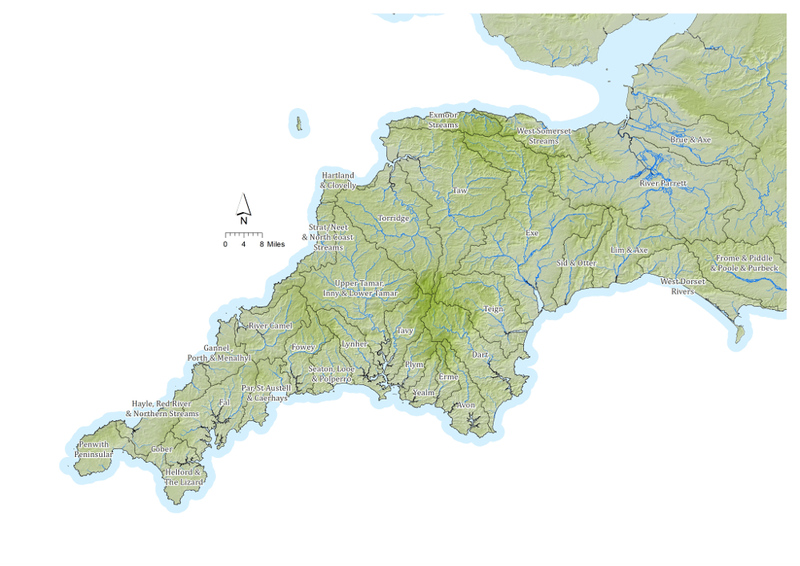 Flowing hundreds of miles from source to coast, some of the most ecologically significant rivers in the South West of England traverse land owned or managed by over 2,000 stakeholders, ranging from local authorities and utilities, to water sports operators and farmers. 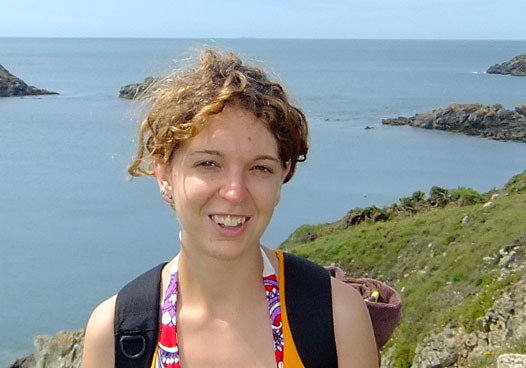 The Westcountry Rivers Trust helps these diverse organisations and individuals to reach agreement on the best ways to preserve these vitally important river environments, by giving them a single source of definitive data in a format that everyone can understand. 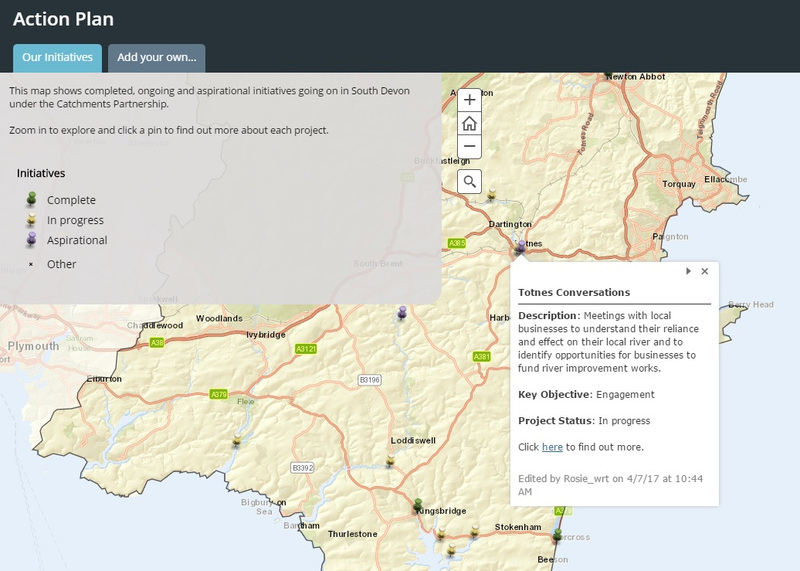 In particular, the Westcountry Rivers Trust improves the effectiveness of catchment-based partnerships in the South West by presenting complex information, exceptionally clearly, on interactive, digital maps. Partners gain a greater appreciation of a wide range of environmental issues and conflicting land uses and can, as a result, work more successfully together to deliver targeted river conservation schemes, such as a recent weir clearance programme to improve access to breeding grounds for fish. Supported by the national, umbrella body (The Rivers Trust), the Westcountry Rivers Trust is also beginning to use ArcGIS Online to raise awareness of river conservation issues and the impacts of poor land practices alongside rivers among the general public. By creating Story Maps it can present scientific data about changes in water quality or wildlife habitats in a powerfully persuasive format and engage the wider community in programmes to preserve precious river ecosystems for future generations.